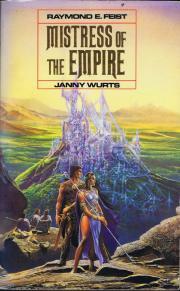 The stunning finale to the highly praised Empire trilogy. 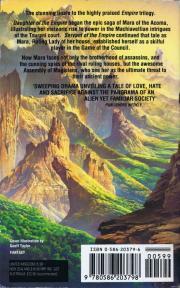 Daughter of the Empire began the epic saga of Mara of the Acoma. Illustrating her meteoric rise to power in the Machiavellian intrigues of the Tsurani court. Servant of the Empire continued that tale as Mara, Ruling Lady of her house, established herself as a skilful player in the Game of the Council. Now Mara faces not only the brotherhood of assassins, and the cunning spies of the rival houses, but the awesome Assembly of Magicians, who see her as the ultimate threat to their ancient power.